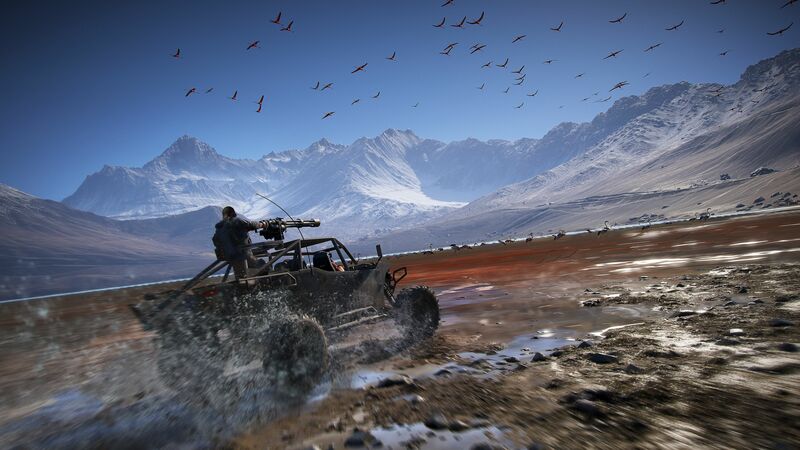 It was hard to imagine what Ghost Recon Wildlands would be in a post-Sicario world. Denis Villeneuve's taut crime thriller portrayed a world of drugs and murder where there were no easy answers and no good guys; the kind of moral relativism that makes you feel bad about your place in the food chain. 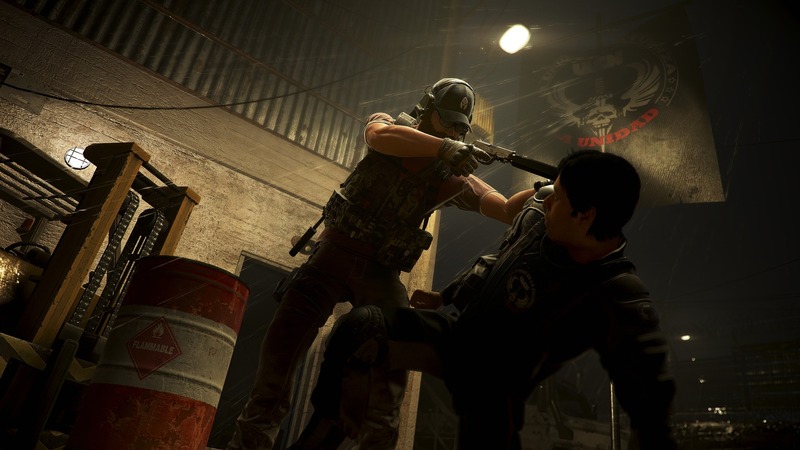 Conversely, the early hours of Wildlands has the player character shoving the business end of their pistol into a bad guy's face and calling him a "fuckstick." Mama mia. I feared the worst -- that our gradual shift towards portraying the drug war in shades of grey would have fallen on deaf ears, and we'd be treated to another unironic depiction of macho American exceptionalism in an era that super does not need any more of that, thank you very much. And although I have not finished Ghost Recon Wildlands (hence the "in progress" you see in the headline), I've seen little to convince me otherwise. 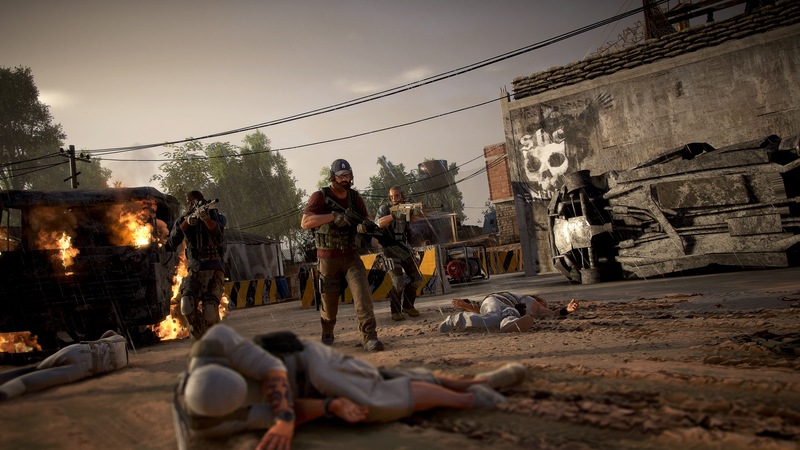 Pity that Wildlands has such an ill-timed release date, because it's got some of the smartest mayhem-focused open-world design I've seen this side of the Just Cause games. By playing off the player's inherent desire to cause a ruckus, Wildlands makes its plentiful side activities feel meaningful, even when you'd rather be doing something else. If Ubisoft is looking for a new sandbox template to viciously beat into the ground, they could do a lot worse than this. There's a growing tendency amongst games critics to avoid comparisons to other games at any cost, but let me break that rule and get reductive at the same time: this is an open-world shooter with co-op and a cartel destabilization system that reminds me of the Deck of 52 from Mercenaries and the corporate ladder of Shadow of Mordor. It's not a 1:1 comparison, but the corkboard-and-red-yarn-style menu system that breaks down the command structure of the Santa Blanca drug organization evokes Mordor's Nemesis system (minus the system itself). You see, Santa Blanca is just too powerful to handle from the get-go. 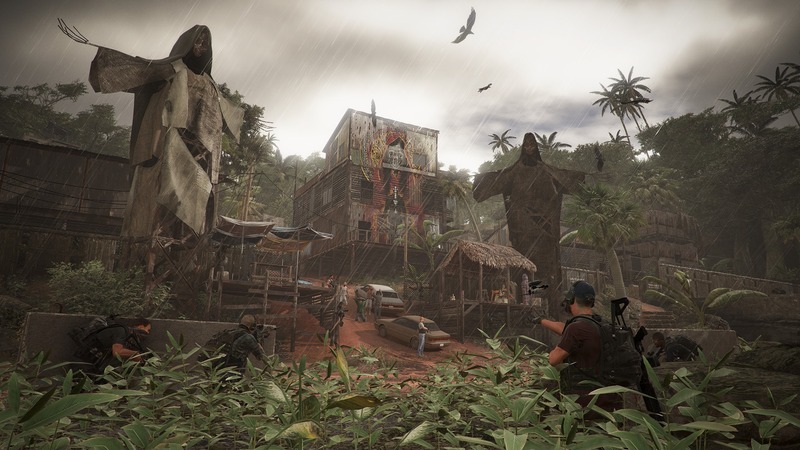 The cartel has effectively taken over the country of Bolivia, as the game's main antagonist El Sueño explains in the opening cutscene. They control of the police, the government, and the underworld, so it's up to the Ghosts to dismantle the organization from the bottom up. Of course it takes four Americans to succeed where dozens of Bolivian rebels have failed, because why have a main character with some kind of personal connection to the events of the story? That might lead to growth or some kind of arc! Maybe even flashbacks! What kind of studio would do that?! The "fish out of water" or "stranger in a strange land" archetypes work best when the characters is in over their head, has a unique outside perspective, or if they've uncovered some weird secret that the locals have never uncovered. The Ghosts are none of these things -- they just have better guns and a drone that can tag enemies. It may seem like I'm harping on the story, but it really is such a bummer. Last year, we saw Ubisoft start to move away from bone-dry open world storytelling with the fantastic Watch Dogs 2, only to fall back into that old trap with Ghost Recon. A few hours in and Wildlands is still telling the most rote big-budget video game story I've seen in a very long time. There's plenty of time for improvement, but I see little evidence of that aside from a side conversation about how the cartel offering college tuition is almost identical to a similar United States military recruitment tactic. That's about as woke as you can expect from a video game released at this level these days, but it still feels very surface-level. Maybe I wouldn't be so bored with the story if the moment-to-moment gameplay wasn't so delightfully over-the-top. If you've got all three of your AI co-op buddies in a car with you, press up on the d-pad and watch them pop out of the windows in unison, guns drawn. It's hilarious. Then, drive that car straight off a cliff towards your next waypoint. I spent most of my time with the game using the AI-based "synch shot" system -- a move where you tag enemies with your drone, then hold down the bottom face button and let your squadmates do the killing for you! I flew helicopters straight into bases, using them as makeshift flying explosives. I hit the wrong rock with the wrong motorcycle, causing my character to be launched over a cliff like a fleshy missile. There are so many opportunities for nonsense, and each one feels perfectly attainable, especially if you're playing alongside real human beings. Since we got review code so late (right before I left for the other side of the country), we've been unable to test the game's co-op at all -- let alone on public servers. For what it's worth, my time causing mayhem with my friends in the Wildlands beta was very encouraging. We'll have to see what the future holds. The way Ghost Recon ties its cartel destabilization to the open-world side missions is simple but effective. You pull intel from enemy bases, which tells you what you need to destroy or mess up in the open world in order to lure out cartel bosses. 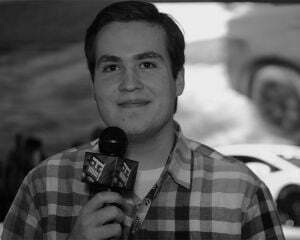 When they poke their heads out, shoot them in the face and move up the ladder. The whole thing feels very procedural, which makes the kill at the end of the process all the more satisfying. It's a perfect representation of that scene from crime thrillers; you know the one, where the characters realize Johnny Law closing in on them and you can practically see the noose tightening around their necks. Also, Wildlands looks real nice on a standard PS4. I didn't see any framerate drops. It's 2017, you know what a big-budget video game looks like. It doesn't look as nice as the E3 reveal video, but it still looks good. The lighting is fine. There's also the matter of The Legend of Zelda: Breath of the Wild and Horizon: Zero Dawn; two other big-budget open-world video games released around the same time. It's worth noting that -- for most of you -- both a $60 pricetag and a 20+ hour commitment is a significant ask from one game, let alone three. If you just own an Xbox One, well, that problem solves itself. Ghost Recon is your only choice. But for people who can choose between the three, that may not be an easy question. If Wildlands proves to be a solid co-op experience, it might be an easier sell as a multiplayer game and not an immersive epic. But as a single player experience, which is the way I've been playing the game, it has the misfortune of sharing a release window with two other expansive sandbox titles. Hopefully I'll be able to definitively answer this question the closer I get to finishing this game -- Wildlands might be a long one. Should you absolutely need an answer right now, based on what I've seen from all three games: Zelda > Horizon > Wildlands. Take that how you will, especially since I've spent the most time with Zelda and the least with Wildlands. Since I haven't seen even half of what Ghost Recon has to offer, there's no point in writing a full review at this juncture. It's a fun game, but I'm only just starting to comprehend the sheer breadth of these wild lands. The cartel mechanic makes for a slick opening, but if the campaign is as long as I suspect, there's a chance I'll be sick of it by the time the credits roll. If Wildlands can keep things interesting (and the co-op works as advertised), then I'll probably have a great time in the wilds of Bolivia.